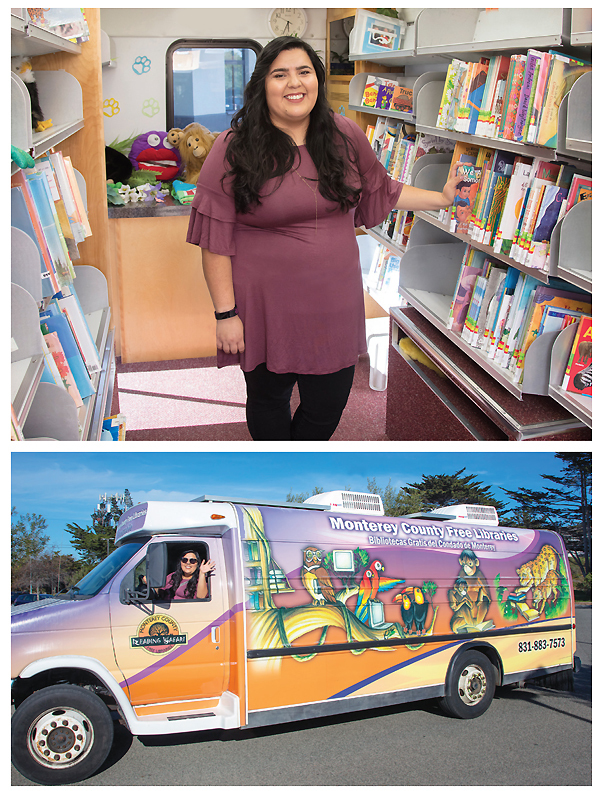 The Reading Safari van of the Monterey County Free Libraries (MCFL), CA, makes regular visits to preschool classrooms and the 18 MCFL branches throughout the 3,000 square miles of Monterey County. From its driver’s seat, Orquidea Olvera runs the system’s Early Literacy Mobile Outreach (ELMO), which carries literacy and science programs to preschool classrooms and some 450 preschoolers. 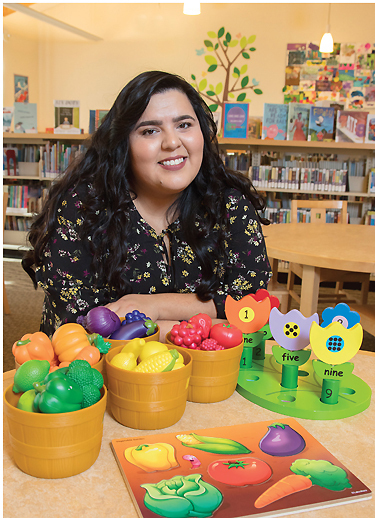 Called the “driving force of the programs” by Berenice ­Astengo, managing librarian, literacy, outreach, and programs, Olvera has maintained the program’s vibrant curriculum for the past five years. Children and teachers alike love Olvera, who speaks Spanish and English fluently, improving the ability of MCFL to serve the county’s large Spanish-speaking population. It’s part of the reason Orquidea Olvera is LJ’s 2018 Paralibrarian of the Year, sponsored by DEMCO. The Safari Van, a 25' minibookmobile emblazoned with pictures of colorful animals and filled with books, science materials, and, of course, stuffed lions, tigers, and chimps, delivers the library’s Reading Safari and STREAM (science, technology, reading, engineering, agriculture [and art], & mathematics) programs to children at the branches, classrooms, and sites throughout the school year. Olvera conducts learning activities such as story times, sing-a-longs, games, real-science experiments, and crafts, along with the opportunity to check out library books. She circulates more than 2,200—and gives away over 1,600 titles to help kids build libraries of their own. While Olvera’s school year is also busy with classroom programs, her summers are full of outreach events. With a colleague, Olvera enthusiastically developed the MCFL Summer Science Extravaganza and took it to all the branches and rural schools. Playing the role of “mad scientist,” she performs entertaining experiments such as creating “elephant toothpaste,” balloon races, and exploding soda! The science experiments involve a special setup in every library. Olvera and others tell the kids what chemicals and ingredients they use. Parents often ask how to perform the experiments so they can amuse their kids at home. It turned out to be the most popular summer program in 2017. A key member of the MCFL Outreach team, Olvera drives the small bookmobile to events countywide as well as attends community activities, neighborhood block parties, health fairs, the National Night Out, art festivals, and school programs. Her bilingual skills and amiable demeanor allow her to engage with all community residents (for ­example, she serves as translator for a weekly English Language Learners class). In addition to building partnerships and collaborations with teachers at Head Start, the Mexican American Opportunity Foundation, and many other preschool classes, for several years Olvera has partnered with the Housing Authority for the County of Monterey. As part of that alliance, ­Olvera found a way to adjust her busy schedule to spend hours at each MCFL branch. She uses library computers and her bilingual skills to help people in need of housing sign up for the Housing Voucher waiting list. It is a long and difficult process that must be done annually by a deadline. Each patron gets a voucher proving registration for housing, and late in the year a small percentage of those registered are randomly selected to receive subsidized housing. 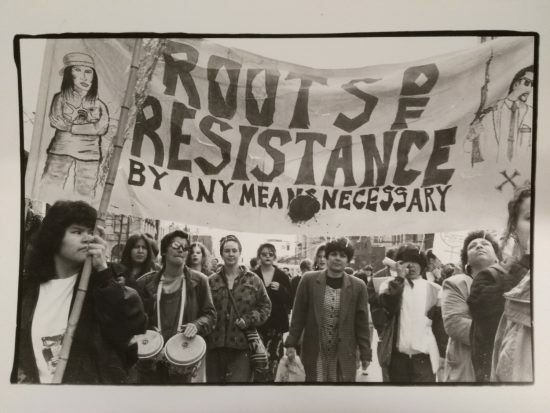 This otherwise arduous and ­demanding procedure is made more tolerable by ­Olvera’s attentive, happy presence, her stories, and her receptive ­approach. A DRIVE ON THE WILD SIDE Olvera and her Reading Safari minibookmobile traverse the 3,000 square miles of Monterey County to bring STREAM programs to children, including those of migrant agricultural workers. Her fluency in Spanish is critical, as it is the language spoken by most of the agricultural workers using the program. Besides its coastal communities, views, and beaches, Monterey County is known as “the salad bowl” of America. Most of the lettuce in U.S. kitchens is grown there. The agricultural areas are less affluent and the people who work there are mostly of Mexican origin. Olvera’s mom, ­Noemi Guerra, is from Guatemala; her father, who died when she was small, was from Mexico. A phenomenon locals call “the lettuce curtain” separates individuals and can lead to discrimination. Effective outreach to those patrons is especially crucial. “Agriculture is such an issue for us. So many people here work in the fields, and I’m not talking about the few who own them. They are so discriminated against it is very hard for many of them to rise out of that. To have Orquidea working on this [issue] is one of the best things we have ever done,” says director Addleman. Olvera grew up in the Watts neighborhood of Los ­Angeles. “Sadly, what you hear about Watts is true,” says ­Olvera. Several of her brothers’ friends were murdered in the neighborhood. “My mother tried to get us out of there as soon as she could,” something she achieved when Olvera was 15. Until then, her mother spent much time shielding her and her five brothers and one sister from trouble. One important resource to help do so was the library. “The Los Angeles libraries played a huge part in my life. This is why I love libraries. I used to go to the Martin Luther King Library, a branch in Watts. We had to cross a railroad [track] to get to it. They always had free programs, and my mom would take us to them. We learned how to use the library computers and went to any programs they offered,” Olvera says. 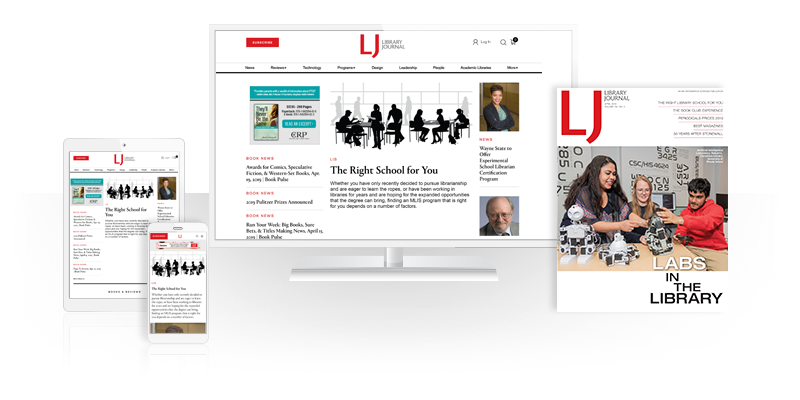 Olvera tells LJ that her background encouraged her to keep to herself and stay close to home. “Life in Watts was difficult. It was hard to walk the streets by yourself. You had to learn what we call street manners, which are mostly to mind your own business and people will leave you alone. I used to hang around my close neighborhood when I was young. We had one neighbor across the street with a daughter about my age. I would only go to school, come home, and play with my neighbors. Maybe that is part of why I am a social introvert. When I go home, I kick my feet up and am happy to be by myself. For years, my Mom was a house cleaning lady. I do want to thank her for her love and care,” Olvera says. ­Olvera also thanks her immediate manager Courtney Amparo, who has become a close friend. “She is so outstanding that she brings that combination of being always willing to work and being creative. 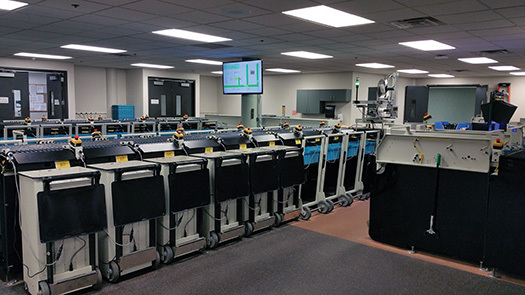 Orquidea has made our long-standing partnership with the schools much more effective. It is such fun to see her at work. She has no compunctions about putting on an animal head over her face, or just anything to help and please the kids,” says Addleman. 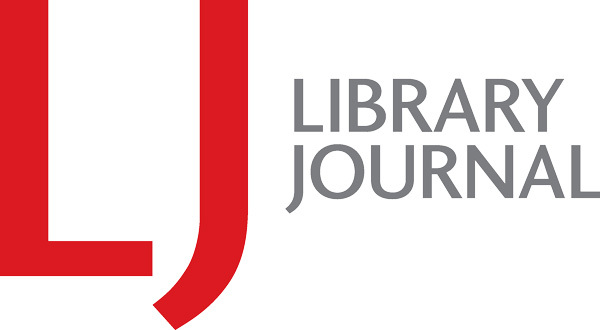 The Paralibrarian of the Year Award is sponsored by DEMCO, Inc., of Madison, WI, which underwrites the $1,500 cash prize and a reception to honor the winner at the American Library Association annual conference in New Orleans, this June. The award recognizes the essential role of paralibrarians in providing excellent library service. 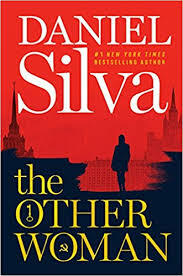 Congratulations to you, Orquidea Olvera!! Congratulations Orquidea, great inspriation forfellow support staff! Well deserved!